2.0 is a 2018 Indian Tamil-language science fiction action film written and directed by S. Shankar. Produced by Subaskaran under the banner of Lyca Productions. As the second installment in the Enthiran franchise, 2.0 is a standalone sequel to Enthiran (2010), featuring Rajinikanth reprising the roles of Vaseegaran and Chitti, alongside Akshay Kumar and Amy Jackson. Sudhanshu Pandey, Adil Hussain, Kalabhavan Shajohn, and K. Ganesh appear in supporting roles. 2.0 is released on 29 November 2018 in Tamil Nadu as well as around the world. 2.0 movie have spent approx. ₹3-4 crore on make-up for this role by roping Sean Foot from Avatar fame. 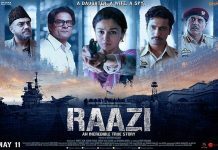 This film is going to be the First Indian Film to be shot completely in 3D with an estimated budget of over ₹450 crores. Dubbed and subtitled versions of 2.0 is slated to release in China in 10,000 theatres with 56,000 screens. For the first 25 days, the Total 2.0 Box Office collection is around 775 Crore against a budget of 540 Crore. Apart from North India, 2.0 performed really well in Tamil Nadu. It has grossed over 170 Cr from Tamil Nadu State. 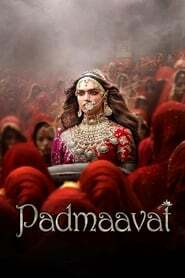 Padmaavat is Based on a Sufi poem of the same name written in 1540 by Malik Muhammad Jayasi, Sanjay Leela Bhansali has added his own flair and interpretation to ‘Padmaavat’, giving it a fairy-tale sheen. This makes all the controversy pointless, and pale in comparison to the spectacle that unfolds. 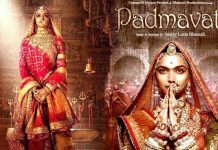 Bhansali reunites with two of his favorite leads in recent times – Deepika Padukone and Ranveer Singh but adds Shahid Kapoor to complete this trio of commendable acting talent.